B.D. Kaushik | I.K International Publishing House Pvt. Ltd.
"B.D. Kaushik obtained his Masters and Ph.D in Microbiology from Indian Agricultural Research Institute, New Delhi and subsequently worked in different capacities before retiring as Head, Division of Microbiology in 2007. He has expertise in biological nitrogen fixation through cyanobacteria, amelioration of salt affected soils through cyanobacteria, Nif gene organization and nitrogen fixation by non-heterocystous cyanobacteria. As research guide 21 students obtained M.Sc./Ph.D. degrees during his professional career. 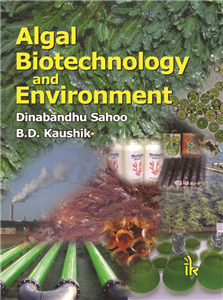 He developed technologies on indoor production technology for BGA biofertilizer and amelioration of salt affected soils. One of technology on improved soil based BGA biofertilizer was transferred by the institute to the private entrepreneur. He has filed two patents on different technologies. Dr. Kaushik extensively has visited Germany, England, USA, Bangladesh, Nepal and many other countries. He was expert to Government of Mauritius, Ministry of Agriculture & Food Mauritius. At national level he served on different committees in ICAR, CSIR, IIT and universities. Dr. Kaushik published more than 160 papers including 83 research papers in referred journals and 7 books. For his academic contribution Dr. Kaushik was bestowed with several awards including Life Time Achievement Award from KIA Chennai. He is Fellow of National Academy of Agricultural Sciences (NAAS), Association of Microbiologists of India (AMI). He was President, Association of Microbiologists of India and currently he is President, Indian Phycological Society.